On July 1, 2017 my Tour De Fleece started out with a bang. I decided that since the Tour De France was starting with a time trial I would spin as much as I could as fast as I could. This means that I wound up with a very full bobbin and I was very happy. The results are not perfectly even, but that is not how I spin anyway. I am very pleased with this bobbin, it has since, on the second day, been finished with the last of that fiber as seen below. I then wound that off as a center pull ball for plying at another time. Aren’t these GREAT! I love how my yarn looks when it is in beautiful center pull balls. 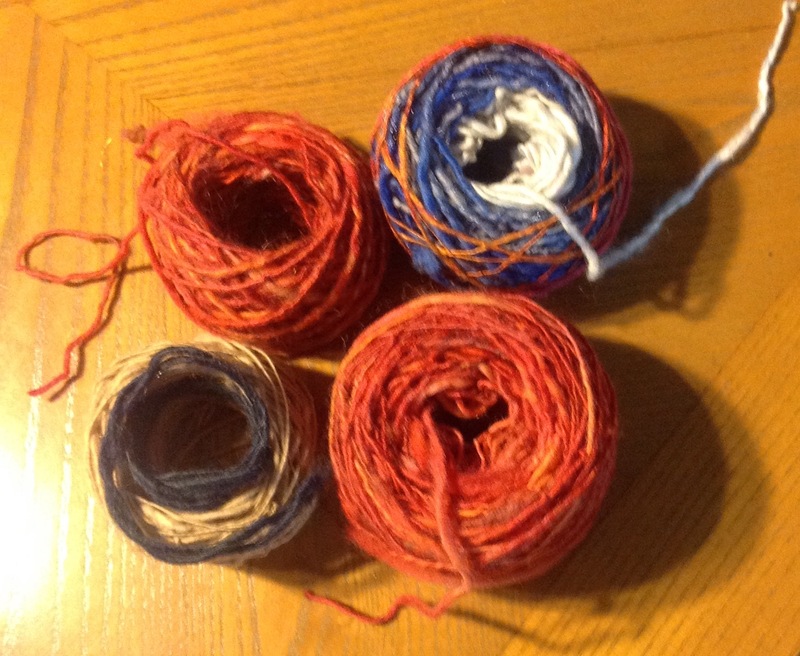 I am so very happy with my new center pull balls, and look forward to winding my new triple ply silk yarn and then some cotton and other yarns! Yay! I just got my Center-Pull Ball Winder today! It works amazingly well. Alright, so I’m using a paper towel holder to hold my ‘bobbins’ of toilet paper rolls to create a center-pull ball with my newly created yarn. 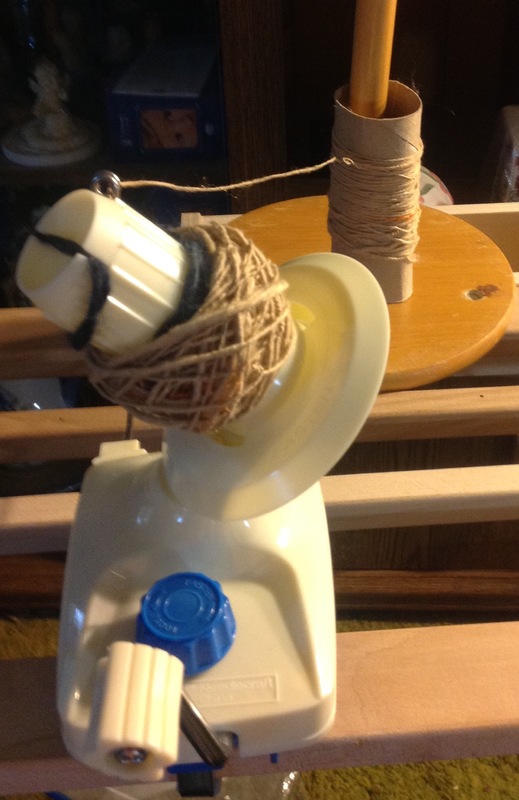 I absolutely love this new bobbin winder, it works so beautifully quickly and creates gorgeous center pull balls. I am so very happy with my new winder, and am looking forward to years of happy use.